Monday, April 16th-20th – Electronics & Computer Recycling Drive for STEM Night; look for information in kid mail about accepted items, donation bin will be in front of the school. Tuesday, April 17th – General PTA Meeting at 6:30pm in the cafeteria; ALL are welcome to attend and free childcare provided in the gym. Wednesday, April 18th – Staff Appreciation hosted by kindergarten & 1st grade families; email sent out via K & 1st grade room parents for more details on how to help! Wednesday, April 18th – Spirit Assembly in the cafeteria at 8:20am. Friday, April 20th – John Rogers STEM Night 6-7:30pm; Come explore science, technology, engineering and math with special guests and hands on activities for the whole family! Student scientists please turn in your posters after spring break for display during this event. Monday, April 23rd – Family Engagement & Action Team (FEAT) Meeting 2:40pm in the library; come learn about supporting outreach efforts within our school community. Tuesday, April 24th – Family Nutrition Night 6pm in the cafeteria; come create healthy recipes and learn new exercise activities, RSVP required by April 20th to Andrea Bergan at 206-252-4320 or aebergan@seattleschools.org. Tuesday, April 24th – School Levy Community Meeting 6:30-8:15 Jane Adams Middle School Lunchroom; District staff members will present information, collect input and feedback, and answer questions. Please come advocate for long overdue repairs, maintenance and potential rebuild of John Rogers!! Thursday, April 26th – SECOND Grade Family Engagement Night at 6:30pm; free childcare provided in the gym. Friday, April 27th – New (And FINAL) Swim Session begins for rooms 2, 4, & 5; Please consider helping your classroom teacher by being a chaperone. Friday, April 27th – John Rogers Mariners Ticket Order Due for the 5/19 game; order forms coming in kid mail. Sunday, April 29th – SAVE the DATE for JR Garden Clean Up 9am-1pm; more information to come! This entry was posted in Uncategorized on April 2, 2018 by RogersPTA. Donate to John Rogers! Move-A-Thon Donations HERE! Shop Amazon & support John Rogers! Shop at Fred Meyer & support John Rogers! 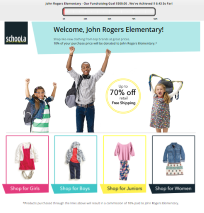 Help John Rogers when you shop! 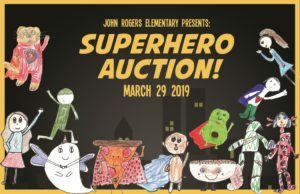 Shop for clothing and raise money for John Rogers PTA at the same time!